The difference between “niceness” and “kindness” could not be greater, sometimes people don’t even see a difference and it is therefore very hard to explain that being nice is rather selfish and being kind is the opposite. People often use these two words interchangeably, assuming that they’re “basically the same thing.” Lets see what the dictionary has to say about it. A “nice” person is one who adapts their behavior to what he believes society sees as “nice.” A “kind” person doesn’t necessarily care about what “society” thinks of him; he acts out of a deep-rooted love for his fellow living beings. That is an important difference, we are talking about two completely different persons. The nice person is focused on himself – he does nice things in order to be perceived (by others and by himself) as a “nice person.” A kind person does not even think about why he is being kind, and like what was said before, does not concern himself with how others see him. Another distinction is when you are nice, you are helping people who don’t really need your help, to get things that they don’t really need. And often when you are on the receiving end of niceness, when people are nice to you, they probably want something back, and use it as an argument against you when they get angry at you. They remind you of their niceness, kind people don’t do that, they help and forget. The nice person seems to be taking power away from you by creating a debt. 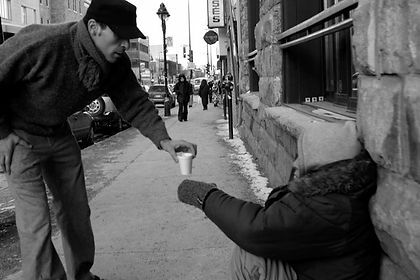 When you are kind, you are helping people who really need your help, to get things that they really need. 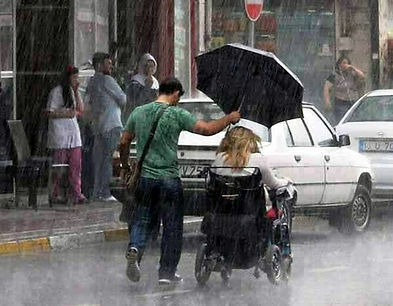 Kindness, is directed toward people who don’t even have the power to help themselves. By helping someone vulnerable help themselves and evolve you might have saved them from becoming too dependent on nice people. See what I am trying to do here? You have actually done a valuable service to the object of your kindness, and given your own power to someone who really needed it. The kind person is focused on others—all he wants is to relieve the suffering of the living, conscious creature in front of him. The core of a “kind person” is love. The core of a “nice person” is fear. In nature there is a general rule when it comes to Power. The weak submit to the will of the strong. When you feel weaker you have an evolutionary imperative to be “nice”, in order to gain the favor of the stronger person. We become submissive when we are overpowered—it’s a natural reaction. When there is a leader who kills everyone he doesn’t like, people will tend to be nice to him. They do whatever they can to “please” him in order to stay on his “good side.” If you are successful in making him your “friend,” it is less likely that he will kill you. You even gain power by association! In today’s world we submit to society and its laws. The main concern is that we are rejected by society and thus we adapt our behavior to be accepted. Our niceness is just a layer of veneer. It is rooted in fear of rejection and thus ending up alone to fend for ourselves. We must understand its a natural reaction to be nice in the face of fear and rejection. The sad thing is that the people in Power in our world also tend to be the ones that don’t have our best interest at heart. In short, we should be wary of the powerful and keep our eyes and ears open. In this regard we could say that niceness arises from selfishness, greed, and the desire for power. There is also some dishonesty in nice behavior as I have formulated above. Nice behaviors fundamentally involve the submission of one’s own will to the will of another and so he hides the truth of what he actually wants as an individual, and only expresses what other people want to express. To avoid being nice instead of kind you’ll need to focus on practicing your honesty, assertiveness, self-awareness, ethical judgment, and kindness as well. Step 2: Compassionate Empathy: The resultant instinct to improve this perceived subjective experience. Step 3: Kindness. The actions arising from the experience of compassionate empathy. The natural human instinct of compassionate empathy arises when we become aware of the subjective “world” experienced by a living being. It arises as the simple urge to help someone who is suffering; to bring strength to the sick and smiles to the sad. Since empathy and compassion are emotional phenomena beyond the grasp of the rational mind, the only way for us to truly understand them is through direct emotional experience. And that takes courage, being kind takes us out of our comfort zone very often as we don’t do it for the glory or to be good in the eyes of others. It’s a very independent way of showing that you favor love, that you care. One of the main meditations for practicing this courage is the Loving Kindness Meditation, lots of them can be found on the internet. It’s an exercise in generating empathy. You will find, through your meditative practice, that every living being deserves your empathy and kindness. You will find that your own experience of empathy and kindness toward all living things is way more important than the silly question of whether or not they deserve it. Love yourself and be happy and content. Be kind to yourself and live a good life. The part of your brain that’s responsible for generating empathy is not only used for “doing kindness toward others.” It generates the feelings of empathy, love, and kindness. These feelings become infused in every interaction, and every relationship… especially in your relationship with yourself. As you can read it comes down to Love. Be a Kind Jedi, and may the Force be with you.